It can be difficult to imagine having a miscarriage without bleeding as, in most cases, bleeding is one of the more common symptoms of having a miscarriage. Many women wonder if it is even possible to have a miscarriage without having any type of bleeding. The truth is that it is certainly possible to have a miscarriage without bleeding or cramping, especially if the miscarriage happens in the very early stages of pregnancy. Eventually, the products of conception must come out of the uterus but this generally happens later and happens after the diagnosis of a miscarriage has already been made. Miscarriage without bleeding is also referred to as having a “missed miscarriage” or a “blighted ovum”. It means that the embryo has died sometime after implantation but an ultrasound is unable to show that the embryo is growing or even present at all. 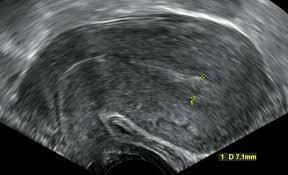 There can be ultrasounds in a missed miscarriage that show just a sac without the presence of the embryo inside. In such cases, there may be enough hormones still present made by the empty sac that will cause some symptoms of pregnancy (such as a missed period and a positive pregnancy test) but the embryo itself is not present or is present but growing abnormally. In addition, most miscarriages rarely begin with bleeding or cramping the second the fetus dies inside the womb. The actual bleeding does not occur until the levels of HCG, estrogen, and progesterone have dropped to such a degree that the pregnancy cannot be maintained. This is when the bleeding and cramping occur. From the time of an ultrasound diagnosis of a miscarriage to the time of the cramping and bleeding can be several days or even several weeks after the death of the embryo. Whenever this happens, doctors indicate that this is a “missed miscarriage” and there will be no symptoms of pregnancy loss until much later in the course of the miscarriage. Usually a missed miscarriage is diagnosed by having an ultrasound in the early weeks after having a positive pregnancy test. In many cases, the missed miscarriage does not have any symptoms whatsoever until about a couple of weeks later, when the uterine lining and products of conception are expelled from the uterus. Because it can be distressing to know that you have had a miscarriage and have no bleeding, many mothers decide to have a dilatation and curettage (D and C), which scrapes out the contents of the uterus after dilating the cervix so that the tools can be inserted into the uterus for the scraping procedure. Some women don’t want to have anything medical or surgical done to speed along the process of the miscarriage and will wait until the pregnancy and uterine lining are expelled from the uterus on their own. In such cases, one of two things can happen. 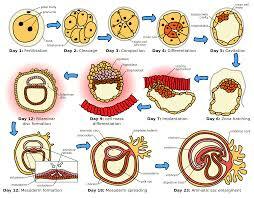 The entire contents of the uterus are expelled and then it is termed a “completed spontaneous abortion”. On the other hand, the woman can begin to bleed but the cervix doesn’t dilate and the products of conception are not completely expelled. This can lead to having to have a dilatation and curettage anyway as the bleeding can be so severe that anemia can result from it. As mentioned, a missed miscarriage often has no symptoms in the beginning but, after a few days or weeks, the symptoms of miscarriage become more obvious and the woman will begin to bleed and cramp. Common symptoms when that occurs include loss of morning sickness symptoms, pains in the stomach, cramps in the abdominal area, back pain, and cramping pain in the back. If the embryo dies and bleeding doesn’t occur, you are having a silent miscarriage or “missed miscarriage”. The typical symptoms noted above don’t apply and you may still experience some symptoms of pregnancy, such as morning sickness, tiredness, and breast tenderness. This only lasts a few days or a few weeks before the symptoms disappear and the typical symptoms of a miscarriage begin to happen. The only way a woman can know she has a missed miscarriage is by having an ultrasound that shows the telltale signs that the embryo has died. Serial HCG levels can be done, which, if a miscarriage is happening, will not show normal increases in HCG as expected in a normal pregnancy. The vast majority of miscarriages in the first trimester of pregnancy occur because there is something wrong with the chromosomes in the embryo. Either the embryo has too many chromosomes, or it has too few chromosomes. Unless it is something like trisomy 21 (which leads to Down syndrome), these types of chromosomal abnormalities are incompatible with life and a miscarriage is inevitable. Even if the fetus has all 23 pairs of chromosomes, there can be mistakes on the chromosomes that are incompatible with life. Missed miscarriages happen in about 1 percent of all pregnancies. This is far fewer than the 20 percent of pregnancies that have the more typical signs of an inevitable miscarriage. Remember that a miscarriage without bleeding (a missed miscarriage) is a temporary phenomenon that only lasts from the time the miscarriage is diagnosed and the time of the dilatation and curettage or the spontaneous onset of typical miscarriage symptoms. If a woman has had a missed miscarriage and is in the first few weeks of pregnancy, all she needs to do is wait until the hormone levels have dropped to such a degree that the uterine lining cannot be maintained and the lining (along with the products of conception or embryo) will begin to be expelled by the uterus. If this does not happen naturally, the best treatment is to go ahead and have the dilatation and curettage so that bleeding can occur and the menstrual cycles can resume. A woman can conceive a pregnancy after a missed miscarriage but it is recommended by most experts that the couple wait for a couple of normal menstrual cycles before trying to get pregnant again. That way, the hormones can be stabilized and the uterine lining will be as conducive to implantation and a normal pregnancy as possible. Copyright © 2019 by Ovulation.Guide.